The Show is a party just waiting to happen with a built-in cooler to chill your favorite beverages. The Captain’s seat therapy arch is amazing, pampering every inch from the neck down to wrists and sides of the knees. Plus, two Adirondack chairs are just the spots for serious leg massages. 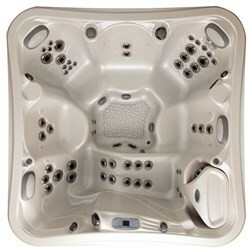 With three high-output therapy zones and a dual geyser jet system, The Epic provides the ultimate in hydrotherapy. Featuring an exclusive Adirondack chair with powerful leg and feet jets and a super deep soak seat to put you as low as you can go to provide neck and spine relief. 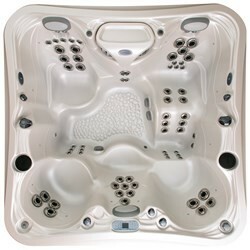 Get total relief with The Euphoria’s whirlpool therapy system. Sink into the extra deep therapy seat for a whole-body massage or receive an extreme leg massage in the Captain’s chair. Relax with passive therapy or move to massage all your hard-to-reach areas. Lounge comfortably in The Wish with its high output therapy massage, lumbar jets and encompassing hydrotherapy for a powerful massage. To help fulfill the wishes of children with life-threatening medical conditions, Marquis donates $25.00 to Make-A-Wish® for every Wish model sold. Rejuvenate your mind and body with The Promise, available as a one-pump or two-pump model. Delivering exceptional hydrotherapy, especially to the legs plus intensive back therapy, this is one Promise you’ll never forget! 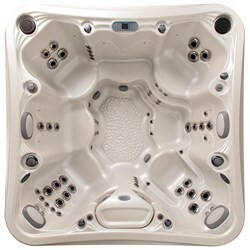 With extreme dual geyser jets, The Reward is the ultimate culmination of comfort, style, therapy and power. The contoured full-body lounge provides a serious massage from shoulders to legs and even feet with a deep therapy seat that targets shoulders and the entire back. The Resort delivers exceptional hydrotherapy, especially to the legs. The open, multi-level seating for five features a lounge with H.O.T. Zone lumbar jets, an Adirondack seat with H.O.T. 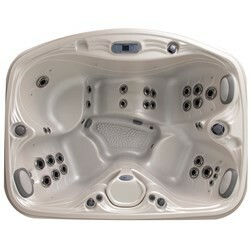 Zone shoulder jets and extreme foot jets, two deep therapy seats and an entry/cool down. The Spirit relaxes your mind and rejuvenates your body paying extra attention to your shoulders, back, thighs and feet. Its H.O.T. 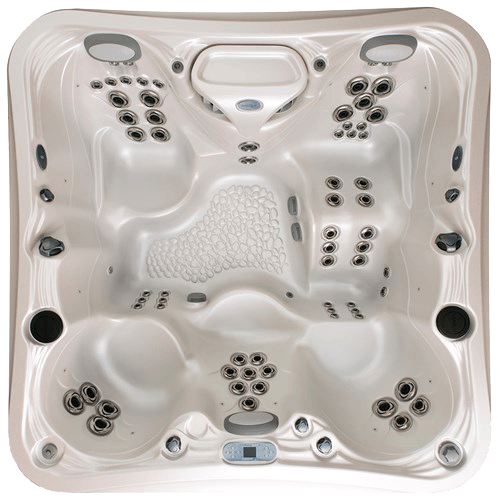 Zone Therapy Pillars of whirlpool jets will renew your spirit and the convenient, 120V plug-and-play system will enhance your experience. 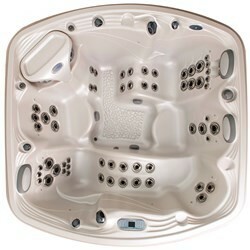 The Rendezvous is the perfect spa for tight spaces and its 120V plug-and-play system is the ultimate convenience. A private escape, two people can settle into this intimate spa and get a great massage. The deep therapy seat delivers a soothing neck massage. 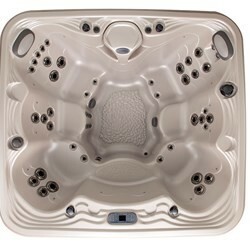 For more information on Marquis Signature Series Hot Tubs including color options and product specifications, click here. 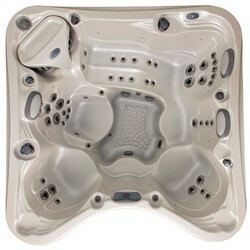 Discover the Signature Series Hot Tub that defines your style! 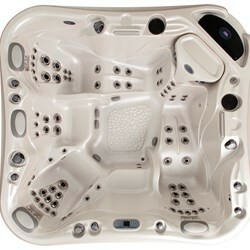 Contact Bucks County Hot Tubs today for more information on the entire line of Signature Series Hot Tubs by Marquis! 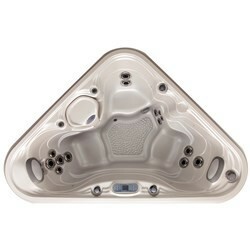 Visit our Bucks County Hot Tubs showroom to experience The Epic Hot Tub by Marquis Today!